Einar Harold Ingman, Jr. was born in Milwaukee, Wisconsin on October 6, 1929. He enlisted in the United States Army in November, 1949 hoping to become an equipment operator, but was assigned for service as an infantryman. On February 26, 1951 while fighting in Korea with the 2nd Battalion, 17th Infantry Regiment, 7th Infantry Division, now Corporal Ingman took command of two squads whose leaders had become casualties. While rallying the two beleaguered groups of men, he single-handedly knocked out two enemy machine gun positions, the second after being shot through his face and becoming dazed from a grenade blast. 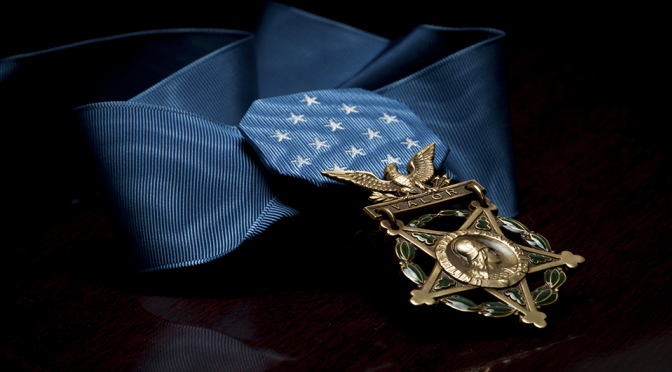 His courage was recognized with the award of the Medal of Honor. Discover More Here buy modafinil legit INGMAN, EINAR H., JR.
Rank and organization: Sergeant (then Cpl. ), U.S. Army, Company E, 17th Infantry Regiment, 7th Infantry Division. Place and date: Near Maltari, Korea, 26 February 1951. Entered service at: Tomahawk, Wis. Born: 6 October 1929, Milwaukee, Wis. G.O. No. : 68, 2 August 1951. Citation: Sgt. Ingman, a member of Company E, distinguished himself by conspicuous gallantry and intrepidity above and beyond the call of duty in action against the enemy. The 2 leading squads of the assault platoon of his company, while attacking a strongly fortified ridge held by the enemy, were pinned down by withering fire and both squad leaders and several men were wounded. Cpl. Ingman assumed command, reorganized and combined the 2 squads, then moved from 1 position to another, designating fields of fire and giving advice and encouragement to the men. Locating an enemy machine gun position that was raking his men with devastating fire he charged it alone, threw a grenade into the position, and killed the remaining crew with rifle fire. Another enemy machine gun opened fire approximately 15 yards away and inflicted additional casualties to the group and stopped the attack. When Cpl. Ingman charged the second position he was hit by grenade fragments and a hail of fire which seriously wounded him about the face and neck and knocked him to the ground. With incredible courage and stamina, he arose instantly and, using only his rifle, killed the entire guncrew before falling unconscious from his wounds. As a result of the singular action by Cpl. Ingman the defense of the enemy was broken, his squad secured its objective, and more than 100 hostile troops abandoned their weapons and fled in disorganized retreat. Cpl. Ingman’s indomitable courage, extraordinary heroism, and superb leadership reflect the highest credit on himself and are in keeping with the esteemed traditions of the infantry and the U.S. Army. Ingman survived his wounds, but suffered from after effects of his head and brain injuries for years following the war. He is still living today at age 83, but has been hampered further since suffering a stroke in 2003. 2nd Battalion, 17th Infantry is currently inactive. The 7th Infantry Division is currently active as an administrative and training headquarters for Army units stationed at Joint Base Lewis-McChord in Washington. Robert Joseph Pruden was born on September 9, 1949 in St. Paul, Minnesota. He joined the United States Army in 1967; evidence suggests that based on his selection/volunteering for Non-Commissioned Officer candidacy and Ranger training he was a volunteer and not a draftee. The Vietnam-era 75th Ranger Infantry Regiment (Airborne) was constituted as a number of separate specialized infantry companies to be trained and delegated to individual divisions or corps for long range patrol and reconnaissance duties. The 75th’s Company G was assigned to the 23rd Infantry Division, better known by its moniker “Americal”, for those duties in Vietnam.